Get Windows Azure Training on essentials of Security that covers security protection included at every layer. We cover the security mechanisms included with Windows Azure at the physical, network, host, application, and data layers. Furthermore, get a basic understanding of some of the identity options you have to authenticate to Windows Azure. If you are going to conduct training OR evaluating software solutions OR learn SharePoint 2013 with VS 2013. The MSDN benefits enable you to get free access to Azure resources. Go to Azure Virtual Machine and click “New” menus to “Compute”, “Virtual Machine” Creating Windows Azure Virtual Image Gallery. You can also select VS Professional 2013 / Premium 2013 depending on your requirements. All 3 VS images contain SharePoint Server 2013 with SQL Express edition. By default Azure offer you to select Large Instance VM, based on my experience if you select Medium Instance, the server performance is reasonable. If need good response time and performance select Large instance. Finally, you need to provide user name and password so that you log into the machine with Remote Desktop given user name and password. Select Storage account if you have one, else select create automatic. In order to access SharePoint Server 2013 from outside you need to configure the public endpoints to allow connections to Windows Azure data center. Go to Endpoints and Enter Name for the endpoint “Public Port” and Select TCP protocol and private port is 80. Virtual machine provisioning will take a few minutes, (status change from provisioning, starting and running) once the process is completed. Please click “Connect” on bottom the screen to initiate a remote desktop session for new virtual machine. When you click visual studio link, it will take few minutes to configure…. Please note that SQL Express 2012 installation do not come with SQL Setup 2012 Express Management Studio. You need to download and install this software, in order to do that you will to change the security settings in Internet Explorer. To validate the SQL Express 2012 installation, launch your Visual Studio, Server Explore and Add Connection, enter (local)\SQLEXPRESS on server name text box and click Test Connection. Now we successfully Installed and verify the SQL Express connection. The default port for SharePoint Central Administration is 11111, the above screenshots show CA and Default SharePoint Web Application. Select “SharePoint-hosted” apps options and click Finish. Select Debug and Start Debugging to test your new app. Wait for installation to complete. Important Note: do not use F5 as it may cause problems. Community Technology Update (CTU) 2013 will be held on 27th July 2013, organized by the Community Leads from various Singapore based User Groups and MVPs. We're putting together some of the best talents from the island (and our closest neighbor, Malaysia), in order to share our experiences across the series of Microsoft Technologies that we believe all of us truly care about. CTU is in our 10th Iteration - We're proud to be organised by the Community, for the Community. In true spirit of sharing, our speakers all purely volunteers from the field like anyone of you within the Microsoft ICT industry. CTU is held bi-annually, and is the biggest community event in Singapore. And it's reserved specially for user group members! Stand a chance to win a Microsoft Surface Pro (128GB w Type Cover) worth close to $1500 in the LUCKY DRAW!!! For early bird registration, it'll cost you $12.00. For walk-ins on actual day, it'll cost you $20.00. So we strongly encourage you to register beforehand so that we can cater sufficient food for everyone. 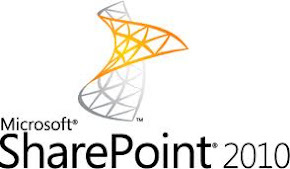 There are tons of resources on the Internet today that tell you how to migrate your SharePoint 2007 environment to SharePoint 2010. Sometimes, achieving something becomes difficult due to of lack of information, This presentation will help you in achieving your migration goal. In this presentation, I am going to cover the issue that you may discover during your migration or after migration. ?